Advisory Board: The members of the Advisory Board are experts in their respective fields. The Advisory Committee plays an important role in advising and setting institute policies, in approving new programs, ensuring quality and in taking strategic decisions which are important for the future growth of ISBM. 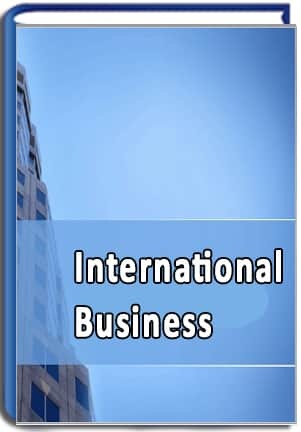 The ISBM advisory Board is overwhelmed to have the following on advisory panel. Dr. Pradhan has 40 years of experience in Education & also IT integration in education management. 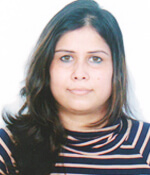 Dr. Pradhan was involved with University of Mumbai as Research guide for Ph.D. students. He has successfully guided students for their Ph.D. degree. He was also an Academic advisor to MM College of Engineering and Abhinav Shetkari Shikshan Sanstha. Currently he is also the director of I-Nurture Education Solutions Pvt Ltd., Bangalore and Ideal Edusystems Pvt. Ltd., Mumbai. 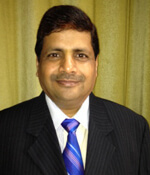 Mr.Vivek Mohile has more than 30yrs of experience in the field of Operations and Marketing. Mr.Mohile has been the Vice President at Raheja Retail Venture, General Manager with BAL Endura Adhesives (India) Pvt.ltd. He is currently associated with H&R Johnson India as Sr. General Manager. Mr. Vivek Mohile has pioneered various Foreign Travel Schemes; accompanied Important Builders and Architects to Germany to show the Manufacturing Plant and to build confidence in the product quality. He also functions as the Member of Executive Committee. He has introduced new products when working with Raheja Retails Ventures. Mr.Mohile has also functioned as an Alternate Director on the Management Board due to exceptional performance record. Served as Profit Centre Head for enhancing the sales from Rs. 2 Crore to Rs. 30 Crores within 9 years. 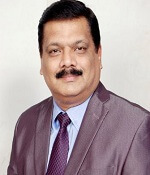 Dr. Anil Kumar Garg is a Proactive, diligent and result-oriented top ranking professional, contributing insightful experience of over 28 years in stationery and office automation products marketing and sales management, Business development, new product launch and channel management. He is Pragmatic, with proven managerial acumen and abilities to withstand work pressures, deliver assignments within specified time frame without compromising on quality benchmarks. His immediate previous assignment was as Head-Business Development in Pidilite Industries Limited, popularly known for one of the strongest brand in the country i.e. Fevicol. He started his Career with Sales trainee and reached to the position of Sr. Vice-President, Marketing & Sales in his career span. He completed his B.Com in 1983 and secured 3rd position in the University merit list, also completed M.Com in 1985 with First Division and MBA in Marketing in 1997 with 10 CGPA. In his pursuit to further climb the learning curve, he got registered for his Doctorate in Philosophy and was awarded PhD in Economics in the year 2006. He has gained knowledge from renowned management professionals like Prof. Clive Rubery, Ken Blanchand, Shiv Khera, P.N.Singh etc. He is also a disciple of Sri Sri Ravishankar Guruji. Sharing knowledge is his passion and he has organized many Training Programs for Managers, Sales and support team on various topics. A result oriented professional with 20 years of experience in Training , Business Development, People Management with work experience in Ranbaxy Labs Ltd.
Conducts Corporate Training in the segment of Management, Organization Development, Soft Skill Development with various Corporates. Taking care of TNA, designing modules & imparting training to all India employees. Proven abilities in managing sales, new business & market development. Extensive experience in consistently raising sales and profitability and brand value for the organization. Experience & expertise in conducting meet/ conferences/ symposia/ student education & training programs and other marketing activities.